Ladies and gents, meet my favourite lunch. 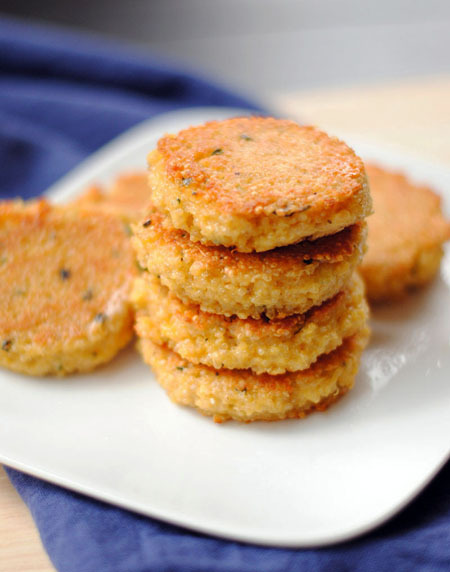 These cheesy, savoury herb quinoa patties hit all the right spots: they're versatile (so I can't mess up the proportions, and can throw random fridge stuff into them - I'm looking at you, broccoli), tasty (note the cheese), and can be made ahead to be munched on for a few days in a row. They're also a fantastic side to mains like roasted chicken, and go great in salads. Begin by cooking quinoa according to package directions. While it’s cooking, combine eggs, chives, parsley, cheese, bread crumbs and salt in a large bowl and stir until well mixed. Mix in the cooked quinoa. Heat a large skillet over medium heat and drizzle a bit of oil in the pan (1-2 tbsp, depending on pan size and love of friedness). 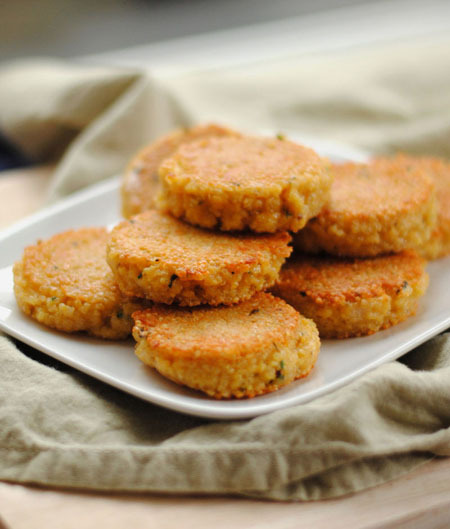 Using a cookie scoop or your hands, form 10cm (2 inch) patties and place onto the hot pan. Cook for a few minutes on each side, until golden brown.